Developed in 2004, BRELS MIDI Editor is a free, open-source MIDI editor that allows the creation and editing of MIDI files with a simple, straightforward interface. MIDI-OX is a free application that is designed to help us manage our MIDI files/devices. 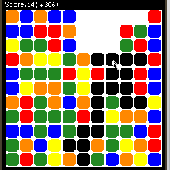 5uper block buster (touch) is a skill arcade game. MagicScore Player is free tool for sheet music playing. You can use it for sfg, MusicXML,MIDI and Karaoke files. Free Ringtones Player helps you preview your midi ringtones before downloading them to your mobile phone. Free Ringtones Player helps you preview your Midi ringtones before downloading them to your mobile phone. Listen to as many Midi ringtones as you want and select your favorite ones. The program provides easy to use interface as well as all necessary features. Just select your Midi file to listen before transfer it to your mobile phone as a favorite ringtone. Free MIDI to MP3 Converter is an incredibly simple and easy-to-use utility that can re-encode your MIDI files into high-quality MP3 audio files with just one click. Championship Mahjongg Solitaire offers a fun and exciting gaming experience for casual and professional players. Master your skills, customize your game, and post your high score online by state or country! Free trial. Quartet X2 is a digital 12-channel audio composer, MIDI synthesizer, score editor, recording studio, and Player. Harmony Assistant is a all-in-one software product for composing, playing and printing music, with digital audio capabilities. The list of features in this program is so large that it cannot be enumerated here. MIDI Converter Studio is a handy software utility that converts MIDI to MP3, WAV, OGG and WMA formats easily. Simply drag and drop a MIDI file, and the rest is done automatically. WAVE to MIDI, MP3 to MIDI, CD to MID : Recorded music can be converted into score! Music Recognition System Pro is designed to automate transcribing of music.